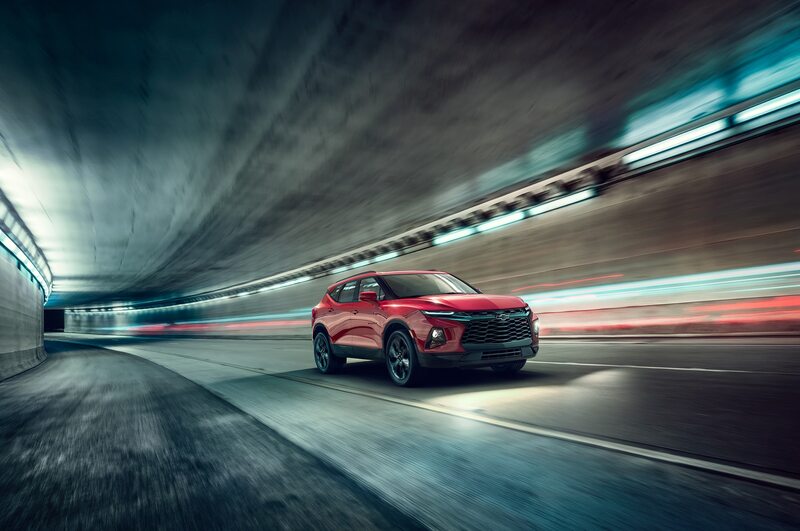 After a long hiatus, Chevrolet is bringing back the Blazer in the U.S. No longer a body-on-frame SUV, the Blazer is now a midsize crossover that will compete with the likes of the Ford Edge and Nissan Murano. 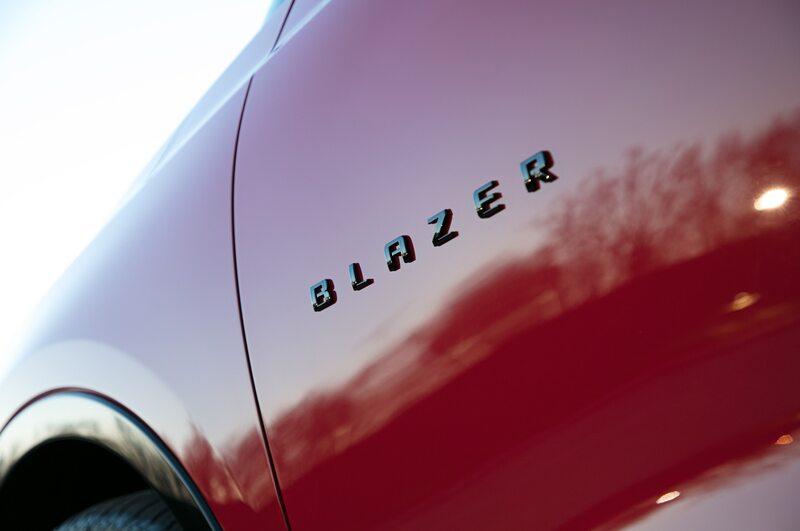 In honor of the Blazer’s return, we take a look back at the storied history of the nameplate. 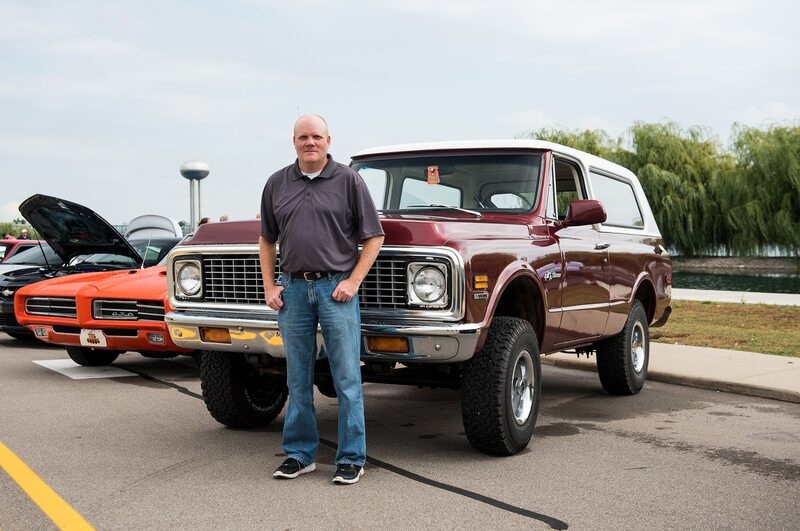 Chevrolet started using the Blazer name in the 1969 model year as part of a line of full-size SUVs riding on a truck chassis called the K5 Blazer. 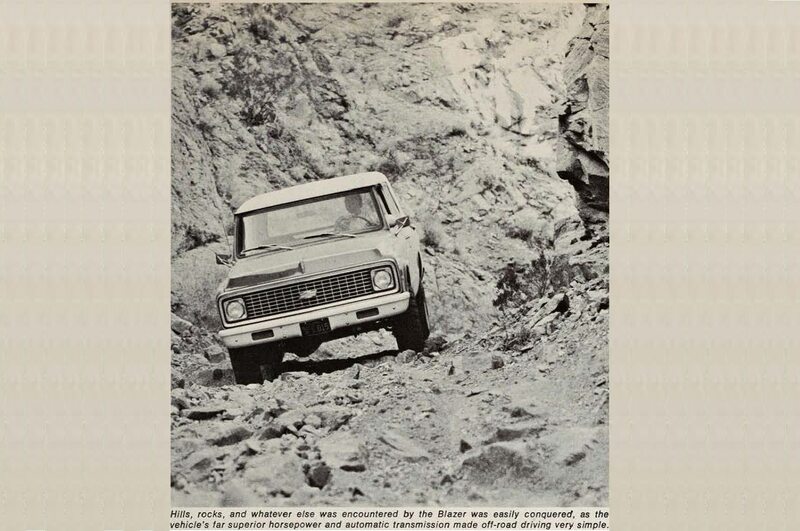 It sported a leaf-spring suspension and straight axles, easily modified to make the SUV more capable off-road. 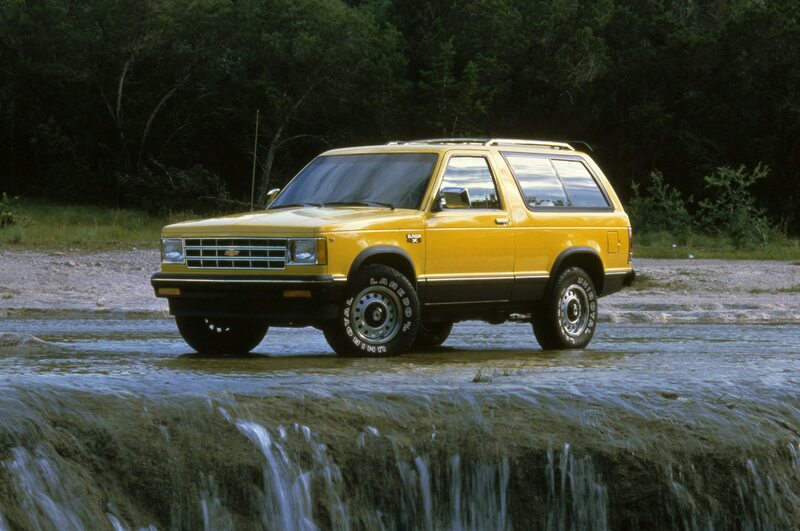 Six- and eight-cylinder engines were offered, as were rear- and four-wheel-drive configurations. 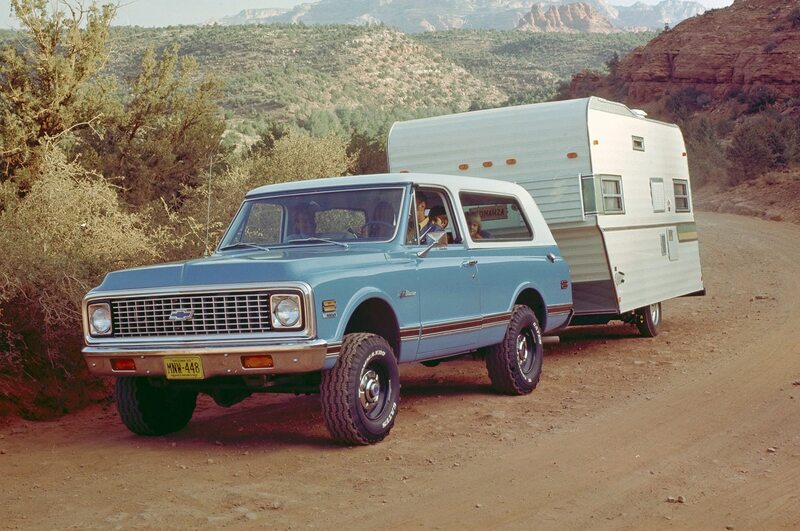 The second-generation model arrived for the 1973 model year with a completely new look, a longer wheelbase, and a hardtop option with a roll-up tailgate window. 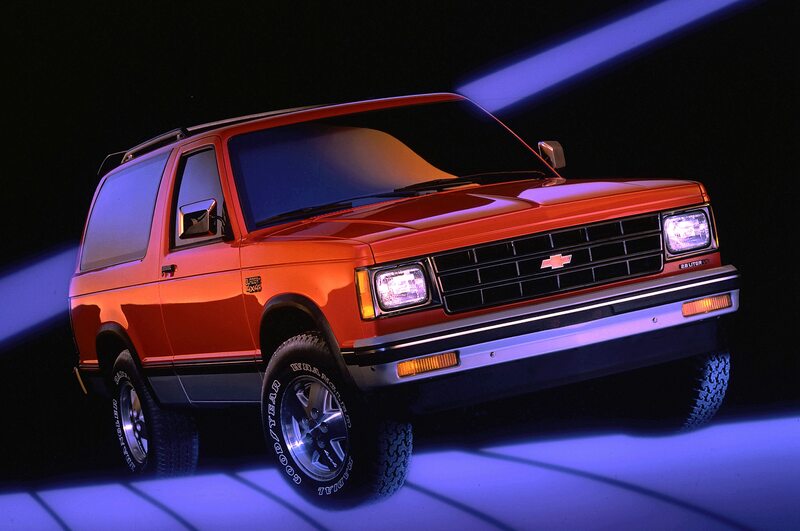 General Motors gave the second-generation model a number of powertrain changes. 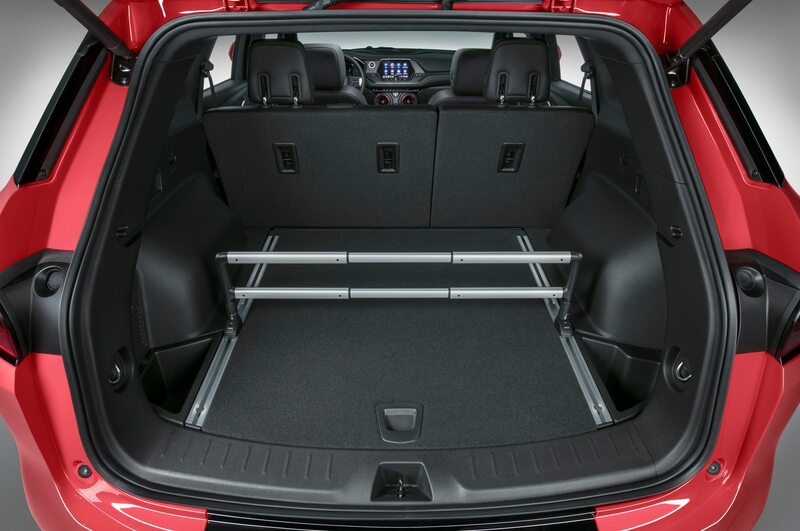 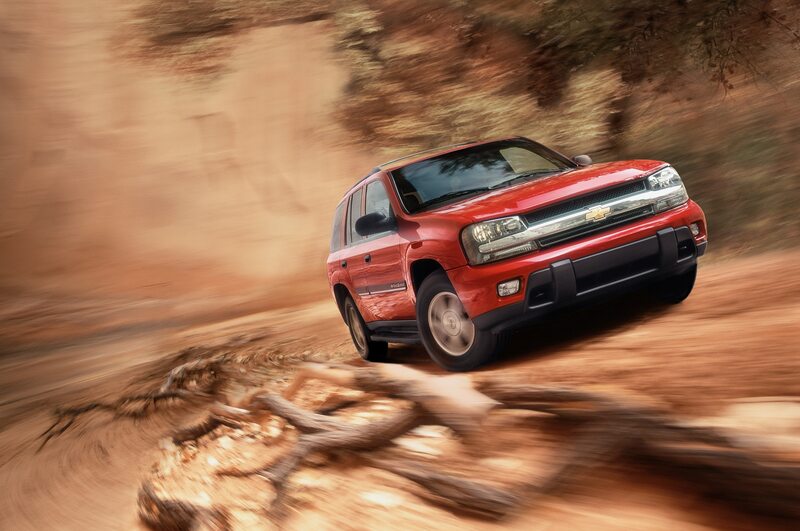 It switched to an aluminum transfer case and added full-time four-wheel drive on automatic-equipped models. 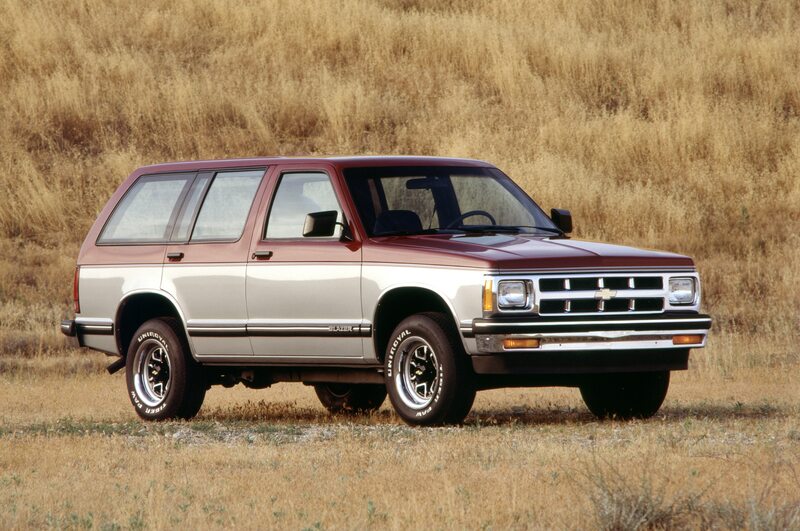 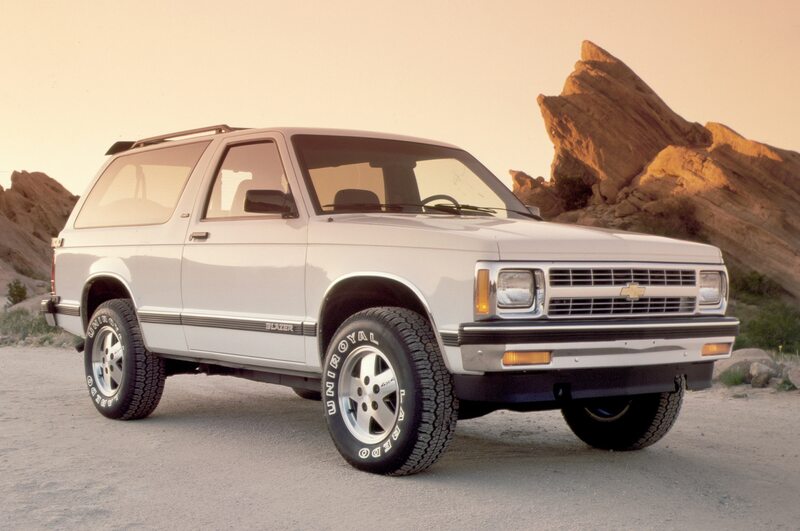 The third-generation Blazer was in production from the 1992 to 1994 model years and was underpinned by the same platform used on full-size trucks, stretching the wheelbase to nearly the same length as the Suburban of that generation. 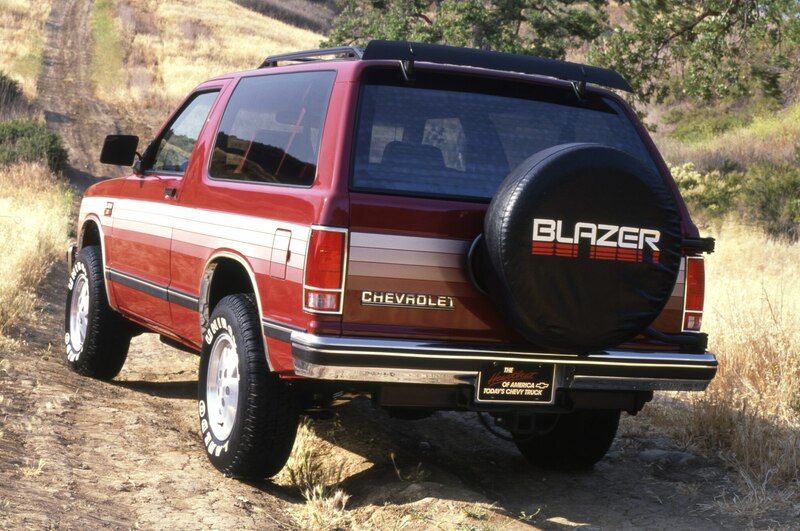 A 5.7-liter V-8, paired to a five-speed manual or four-speed automatic, was the sole engine for most of its production life but sometime close to its discontinuation, the third-generation Blazer was offered with a 6.5-liter turbodiesel V-8. 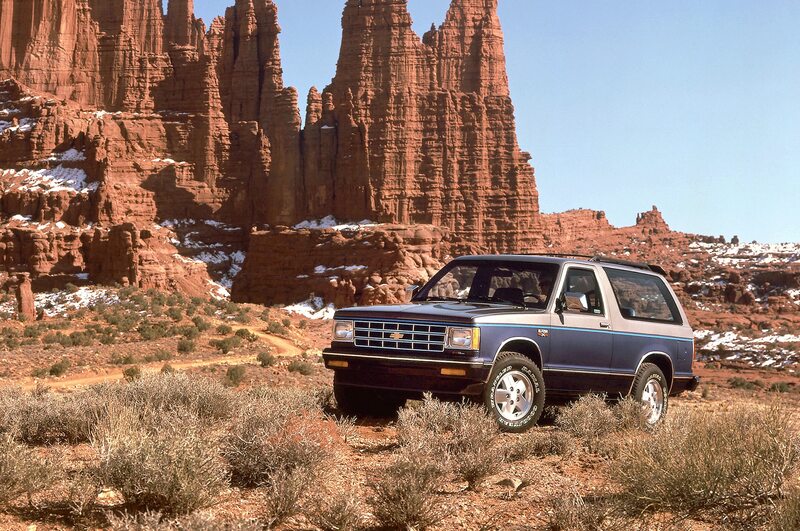 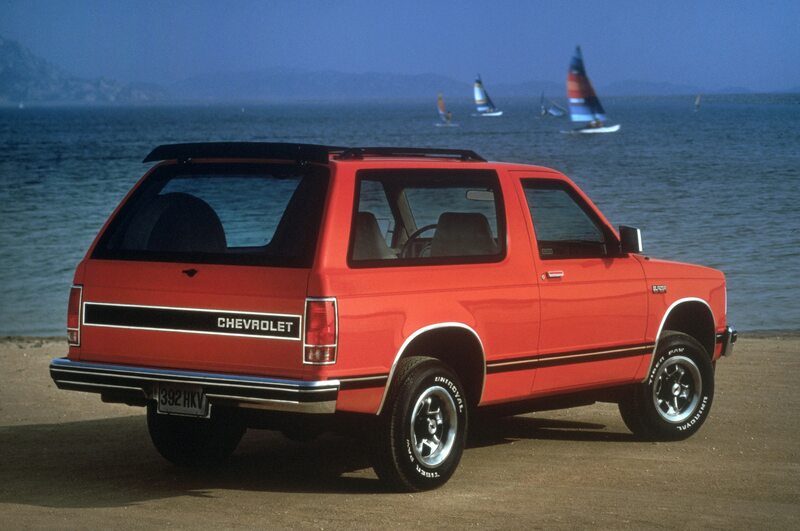 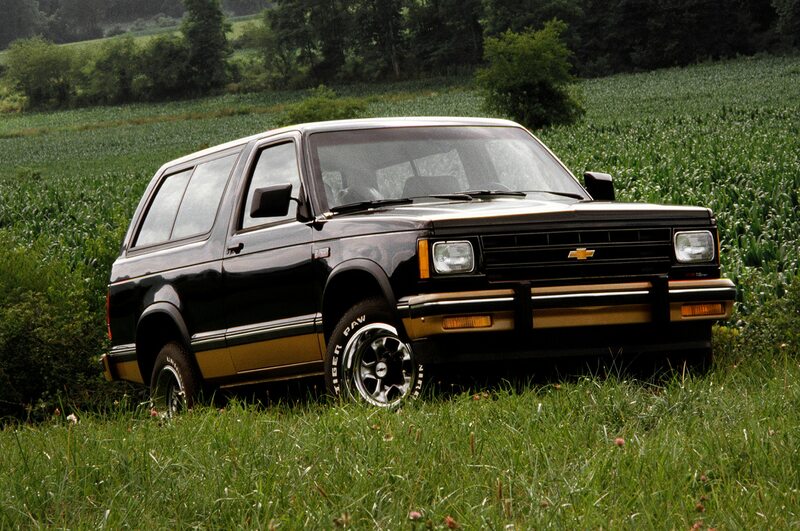 From the 1982 to 1994 model years, a new model called the S-10 Blazer went into production with smaller four- and six-cylinder engine options. 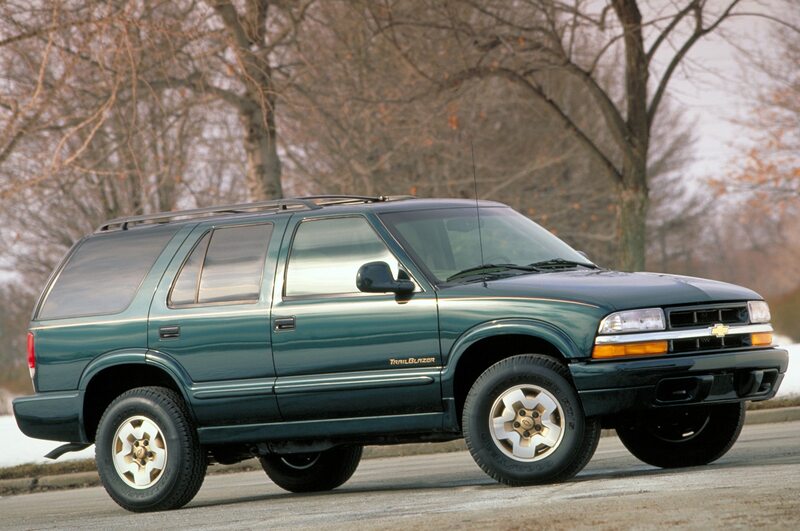 The larger K5 Blazer, which by now had switched to the Suburban platform, was replaced by the Tahoe. 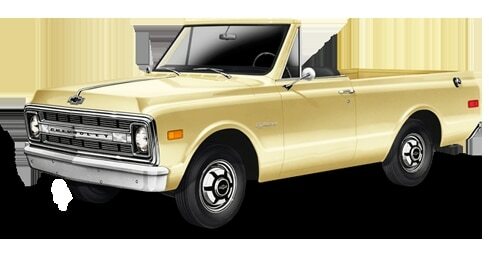 This model was available in two- and four-door models and also had a sister vehicle known as the GMC Jimmy. 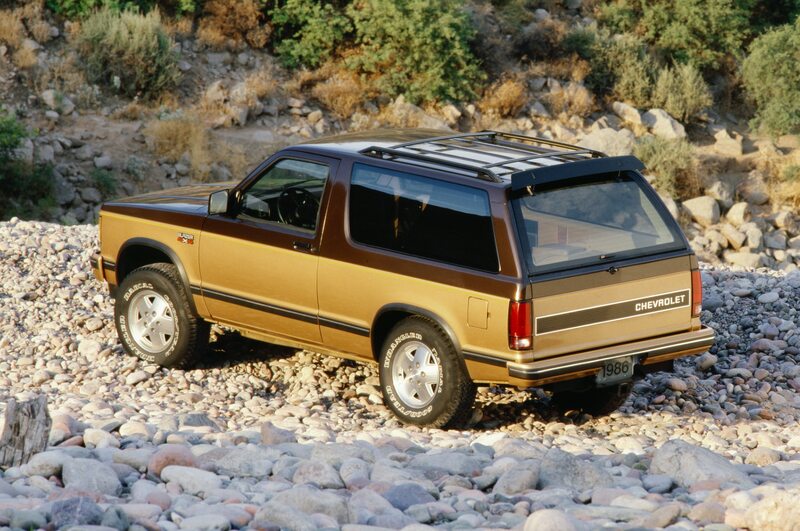 Like its predecessor, the S-10 Blazer rode on a truck platform shared with the S-10 pickup. 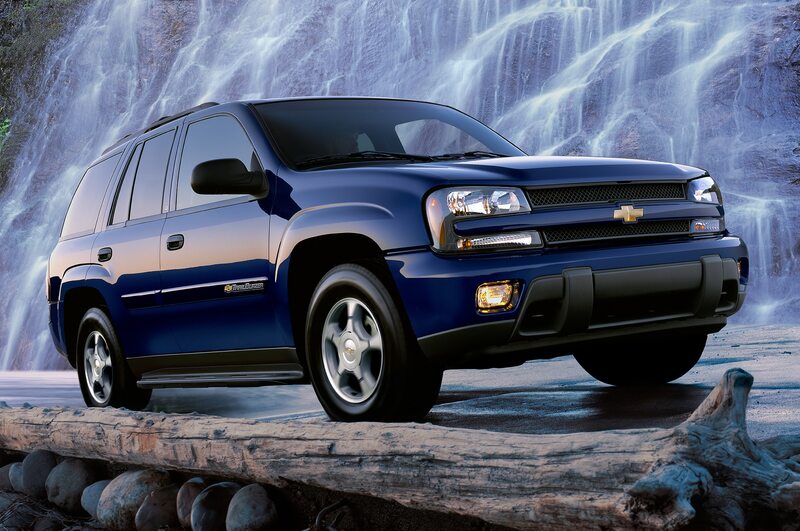 It continued to share its bones through its second generation, which was produced from the 1995 to 2005 model years. 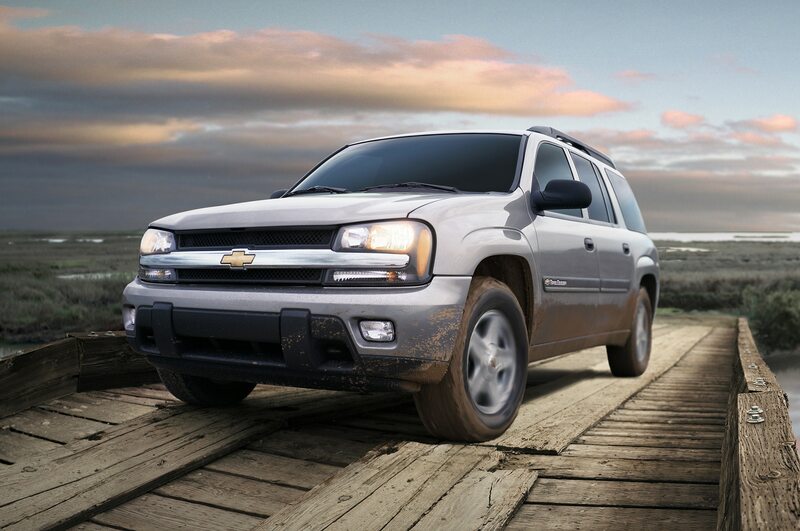 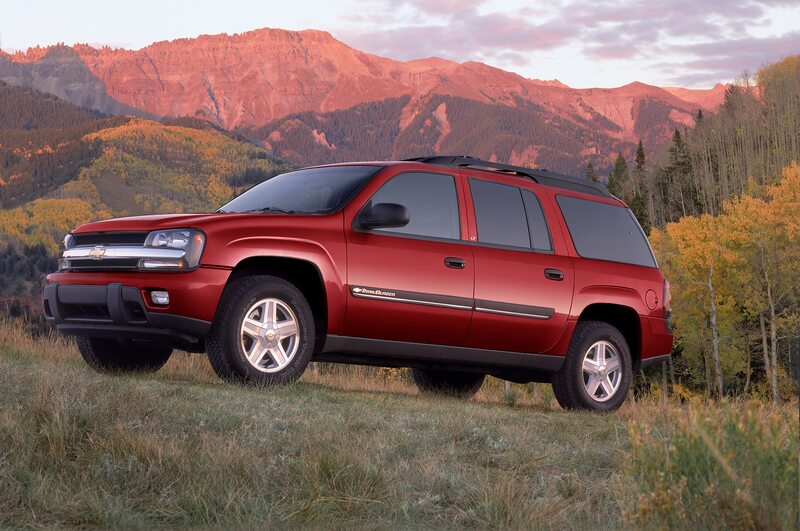 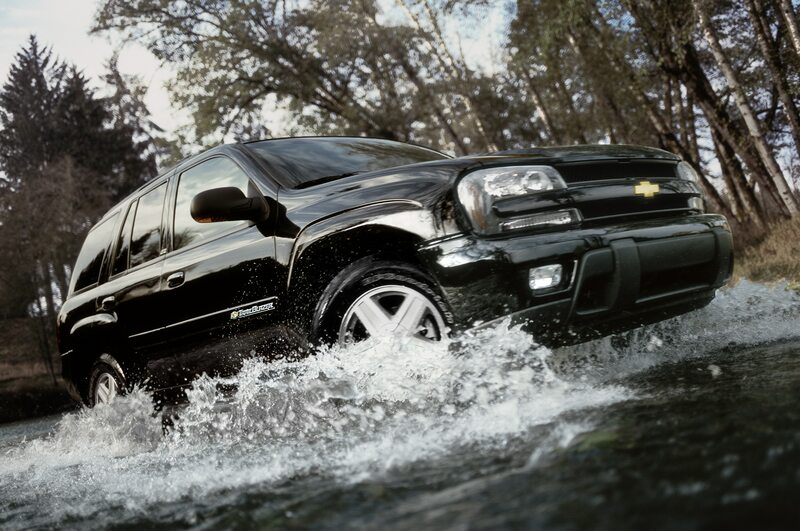 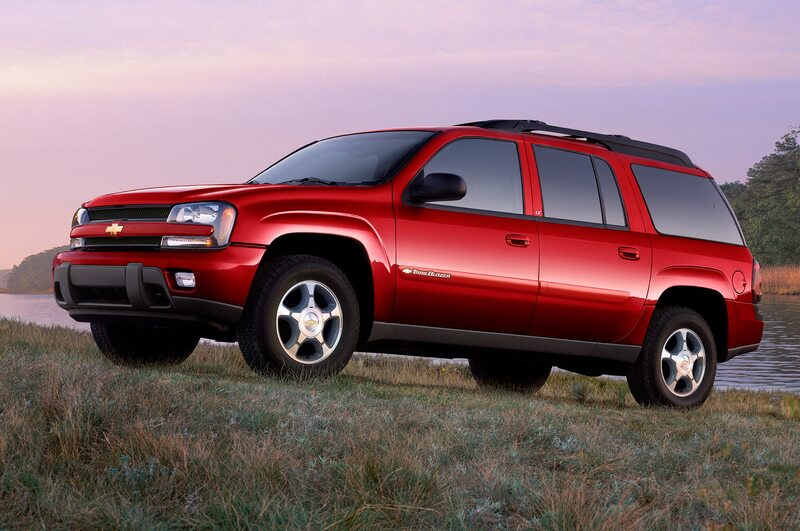 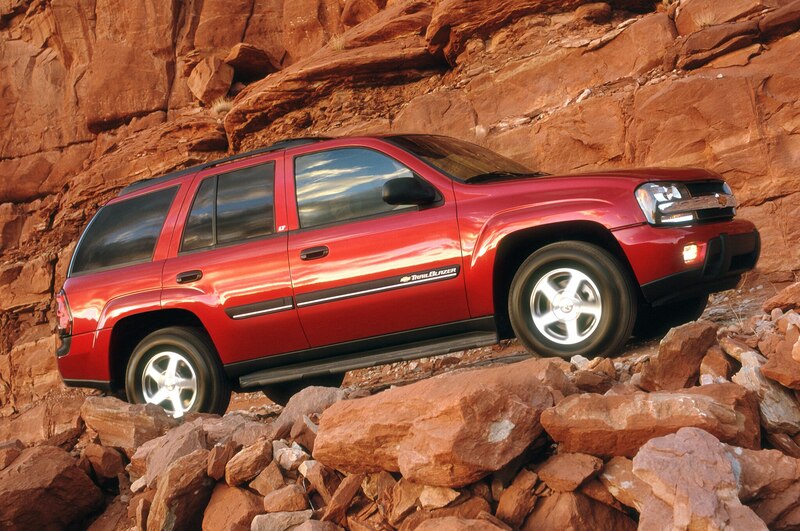 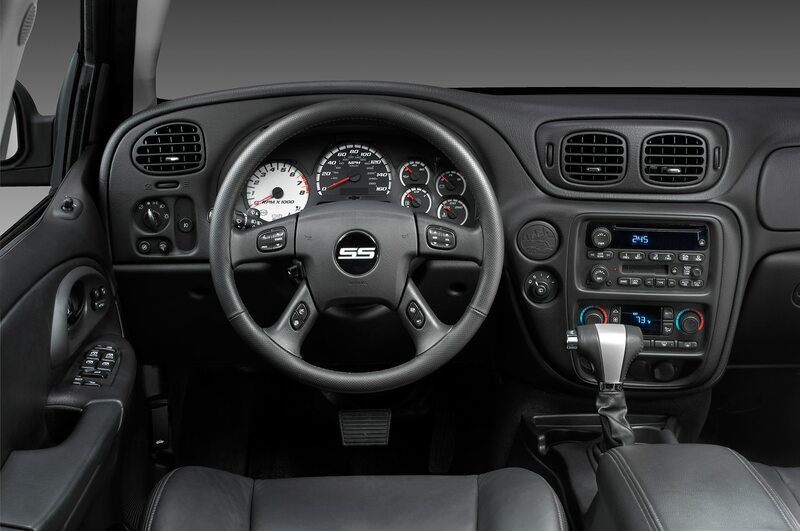 A high-end model called the TrailBlazer was added from the 1999 to 2001 model years. 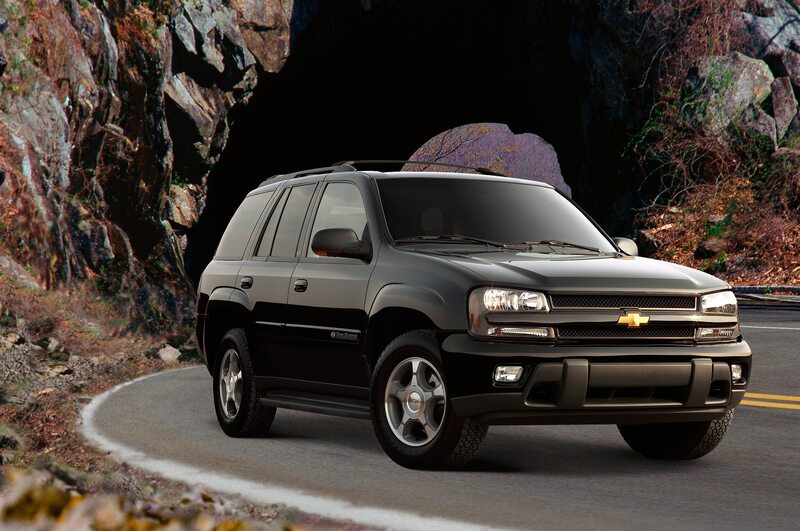 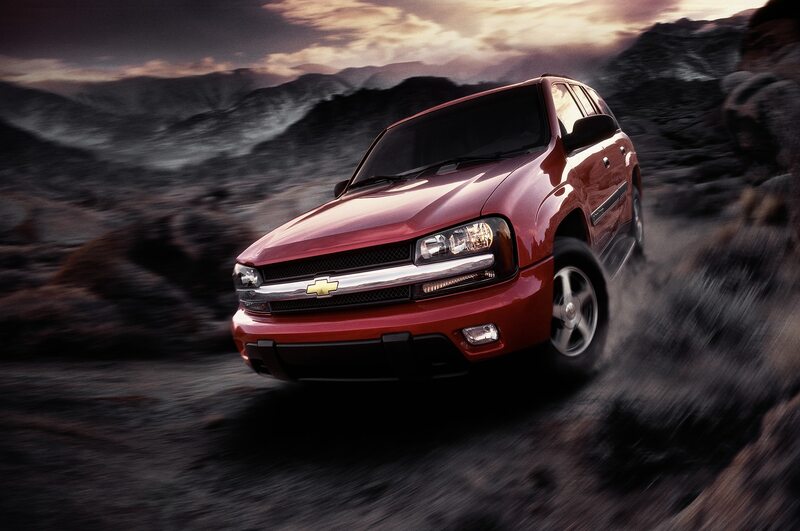 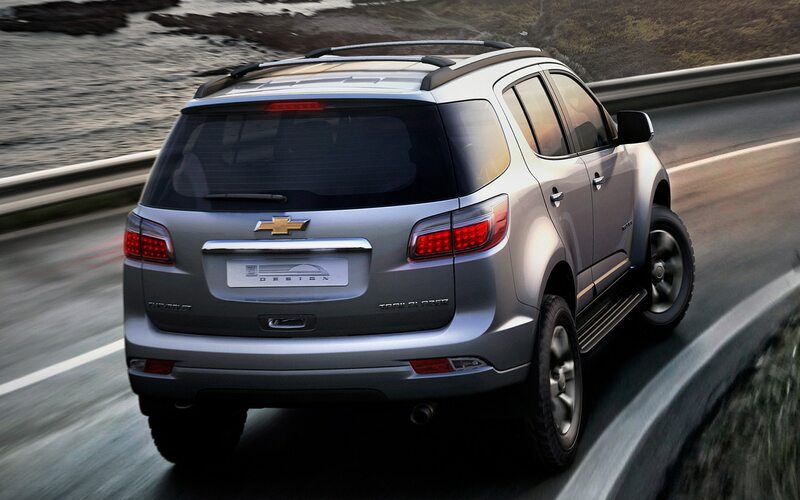 From the 2002 to 2009 model years, the Blazer name would be discontinued in favor of the TrailBlazer in the U.S. market. 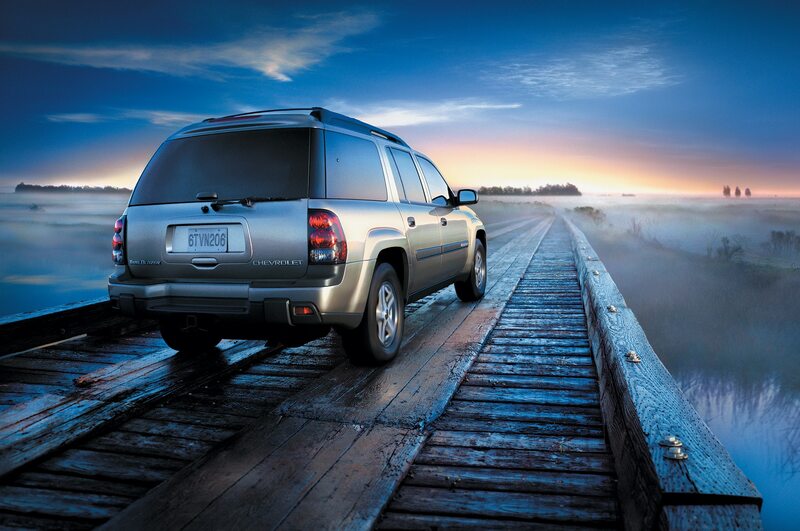 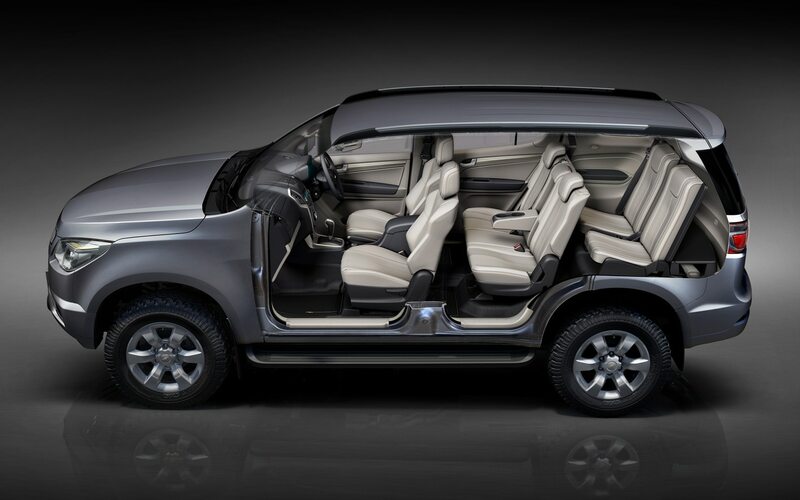 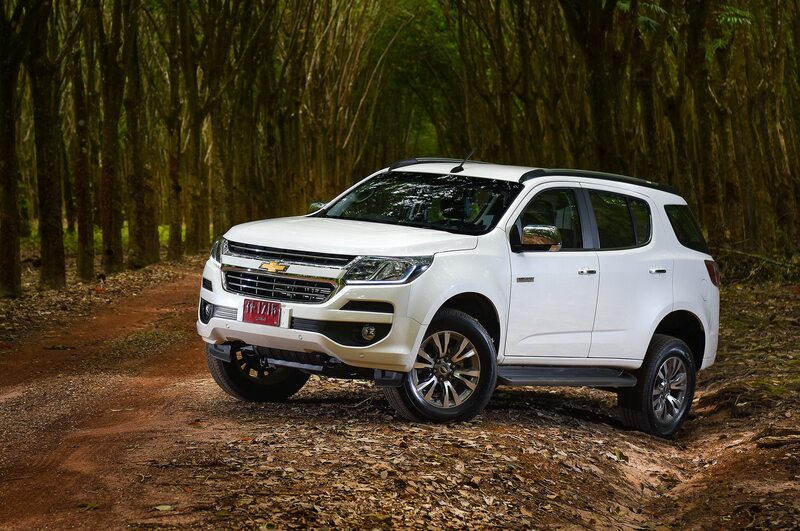 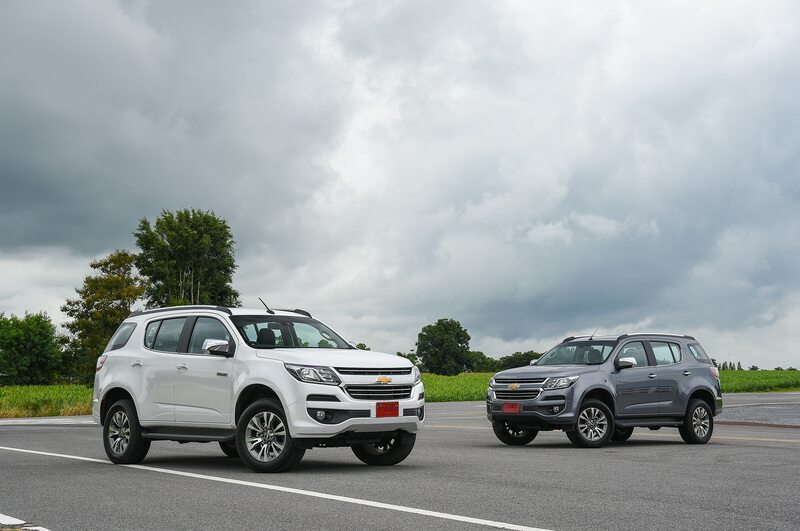 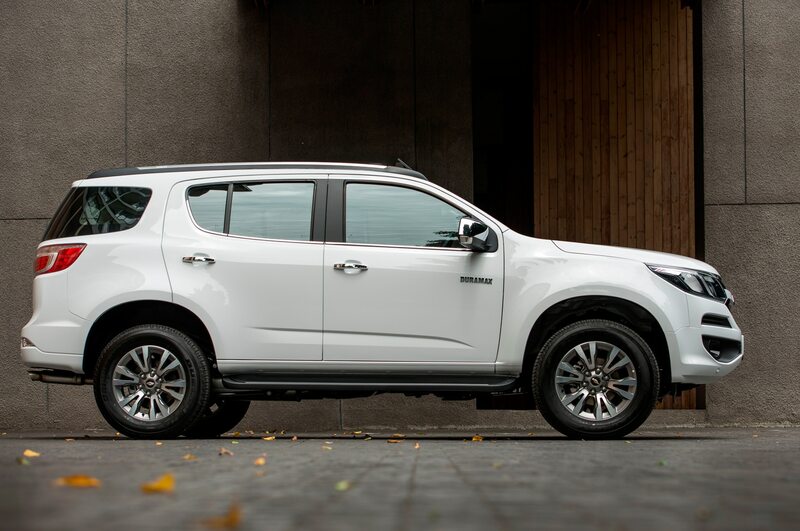 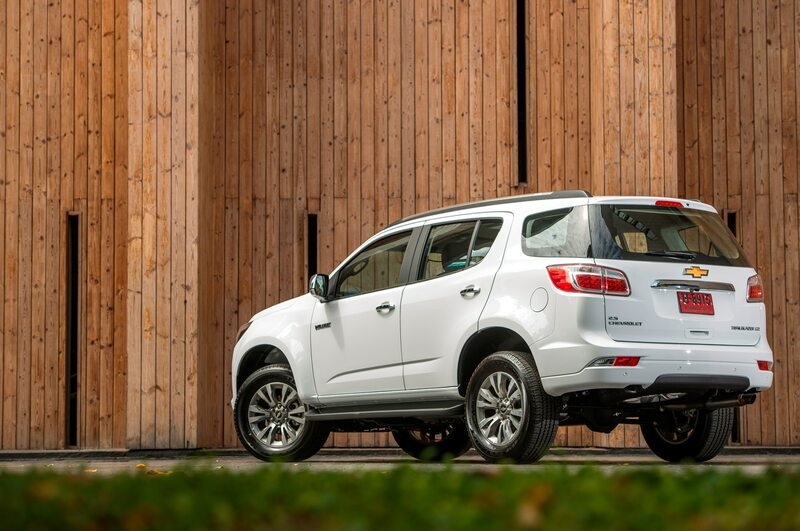 This time, the SUV was available with a choice of I-6 or V-8 engines in rear- or four-wheel-drive configurations. 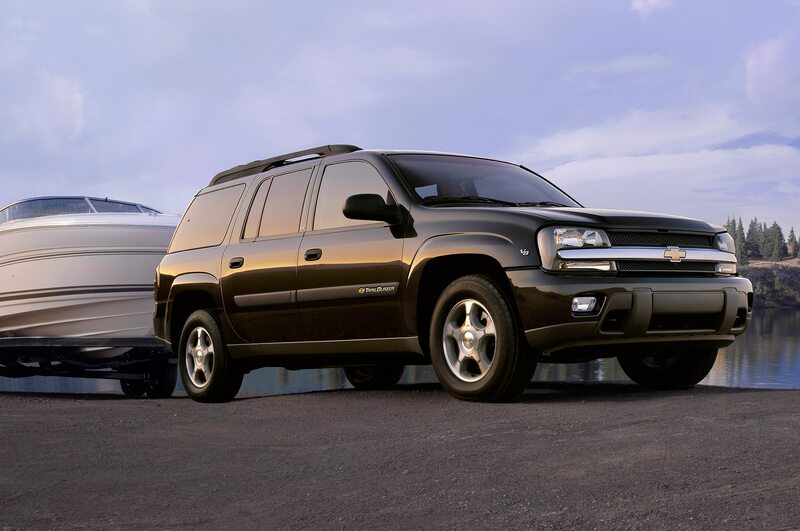 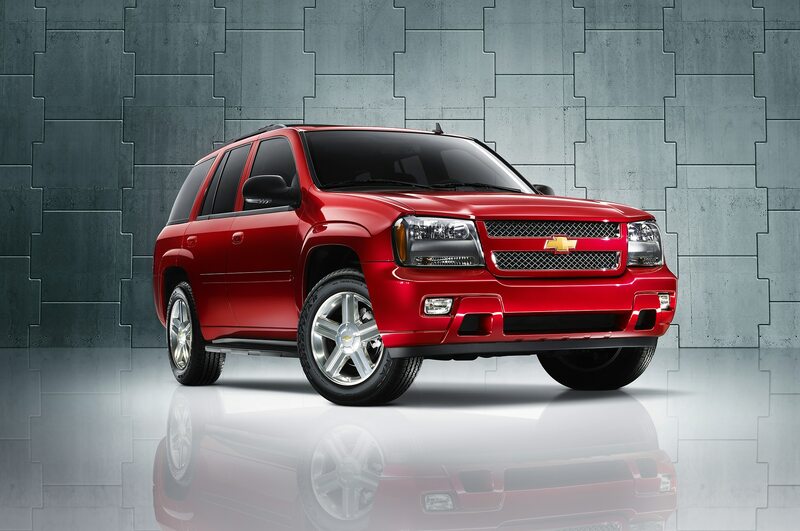 An SS model joined the lineup for the 2006 model year and was in production until the TrailBlazer was discontinued for the U.S. market after the 2009 model year. 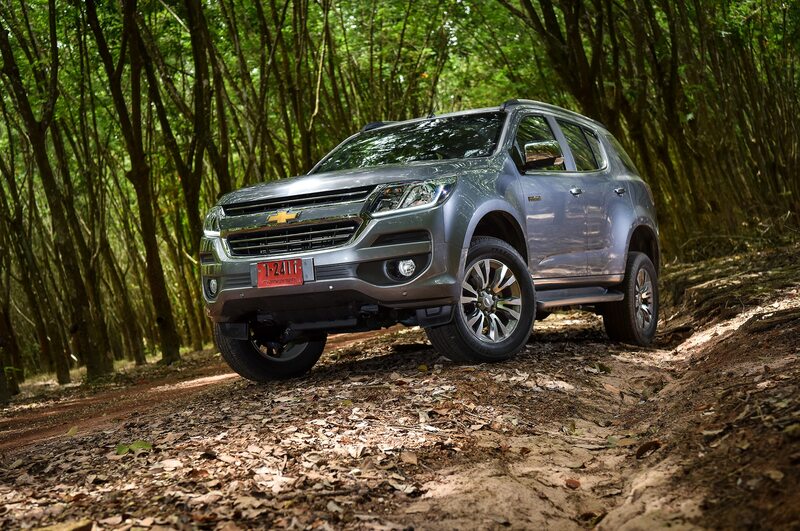 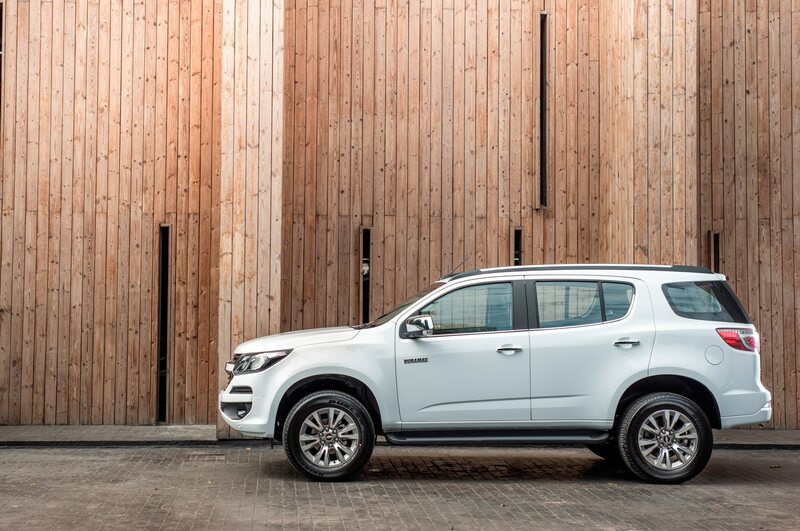 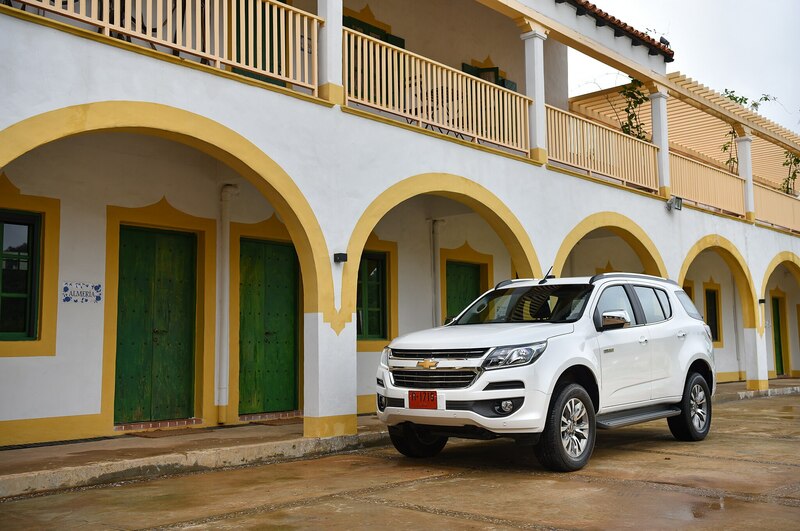 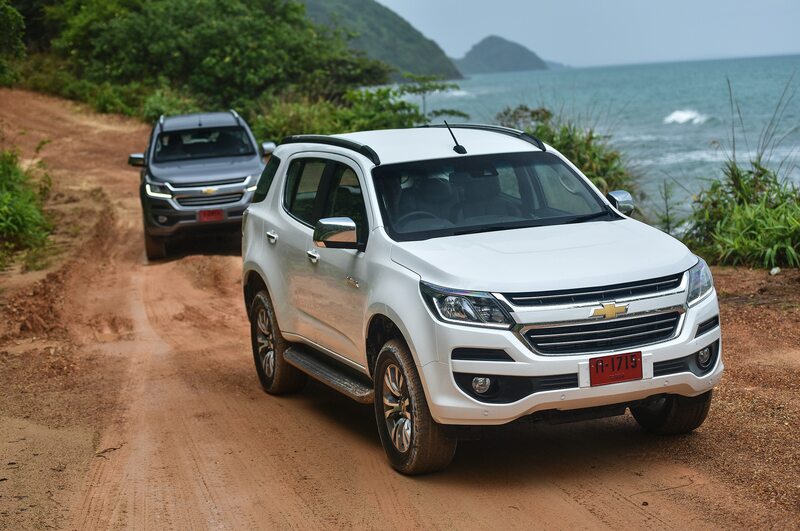 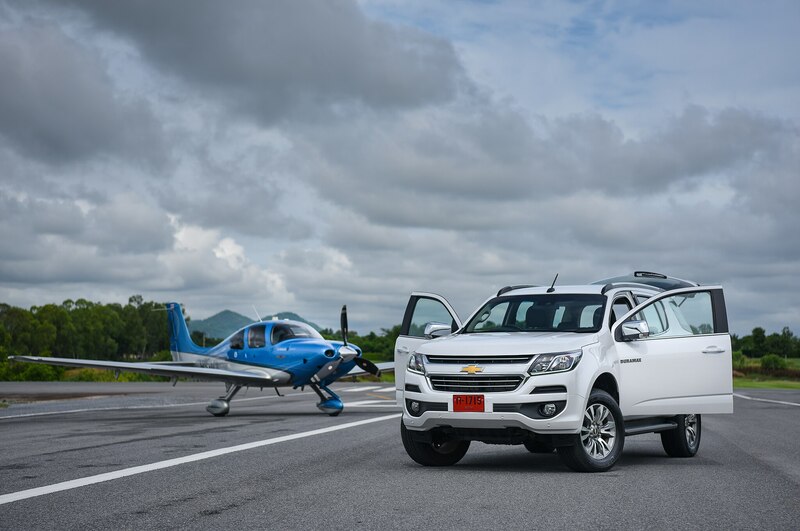 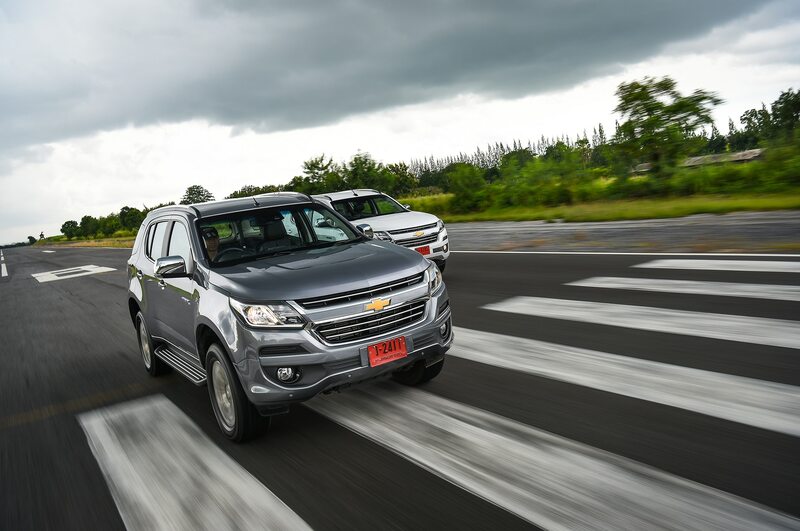 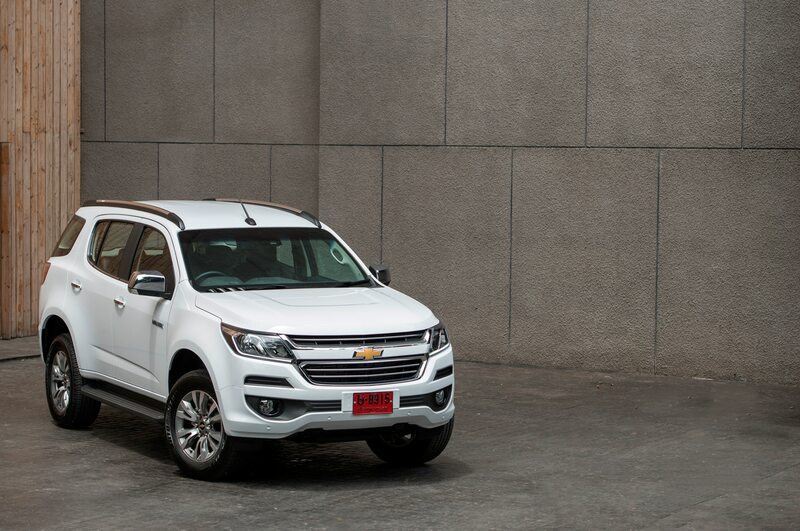 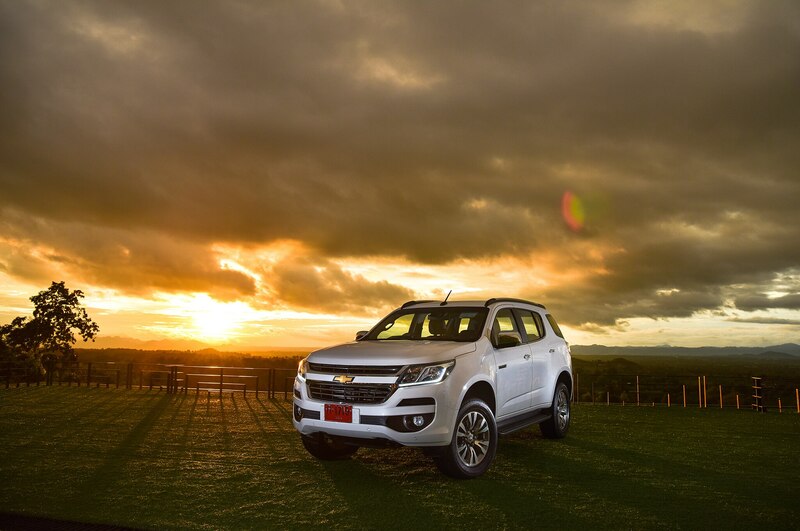 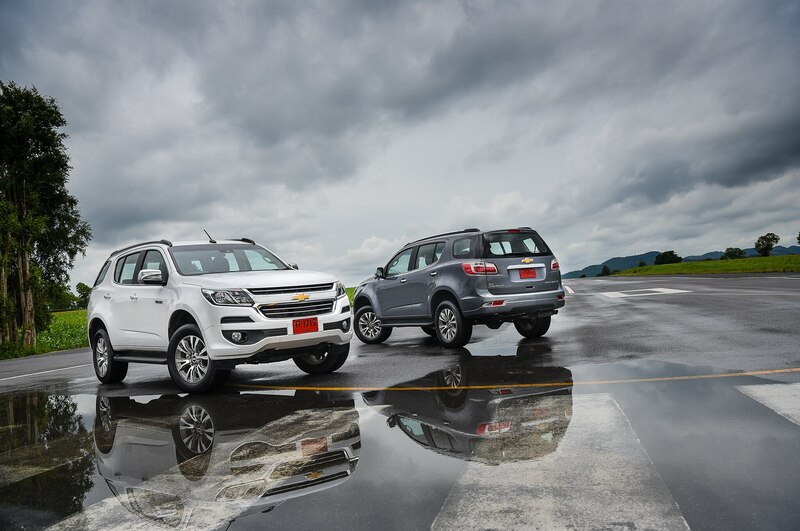 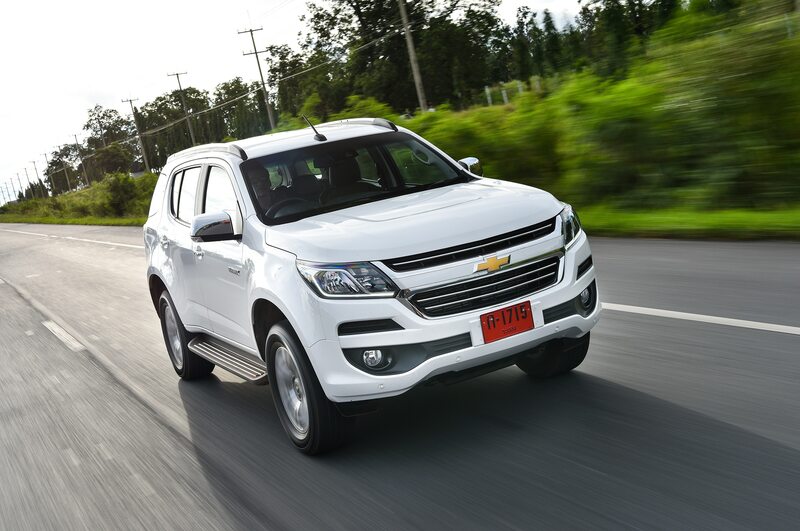 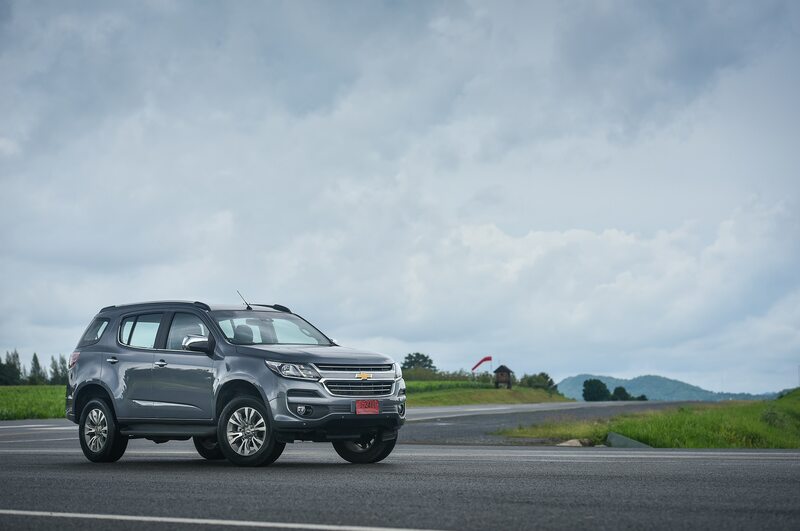 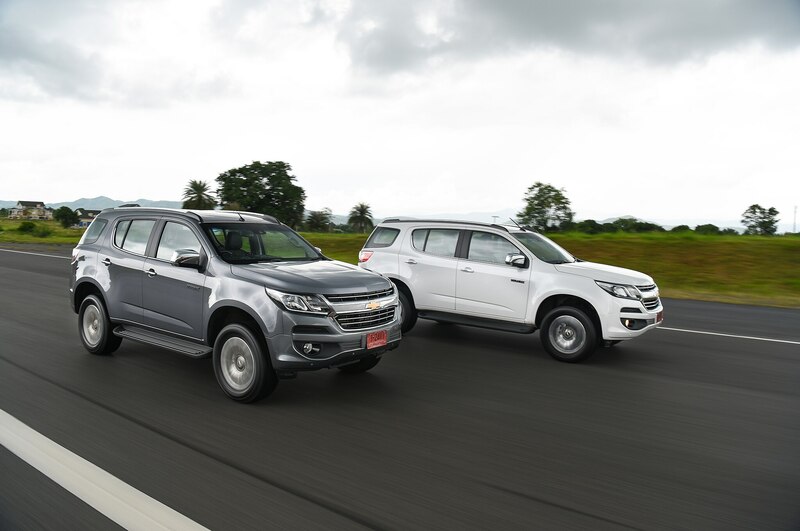 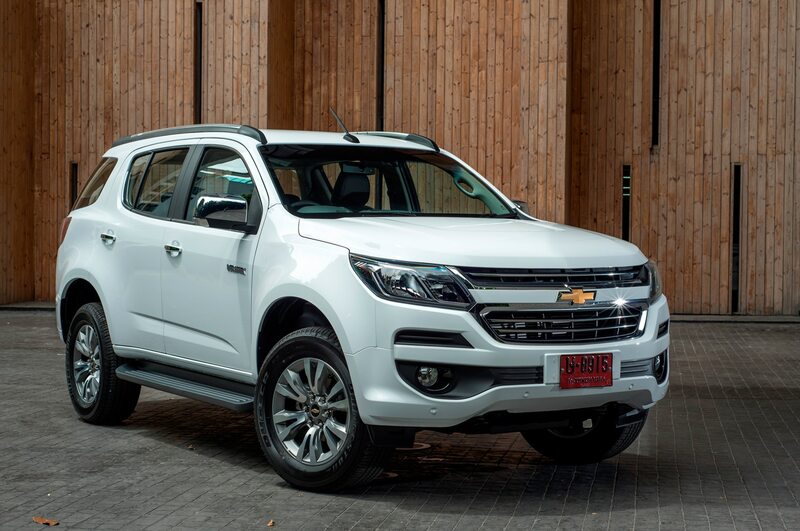 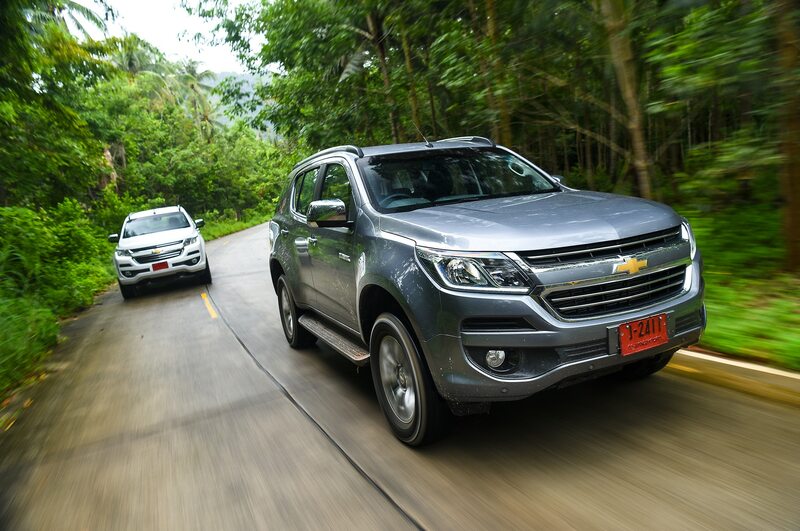 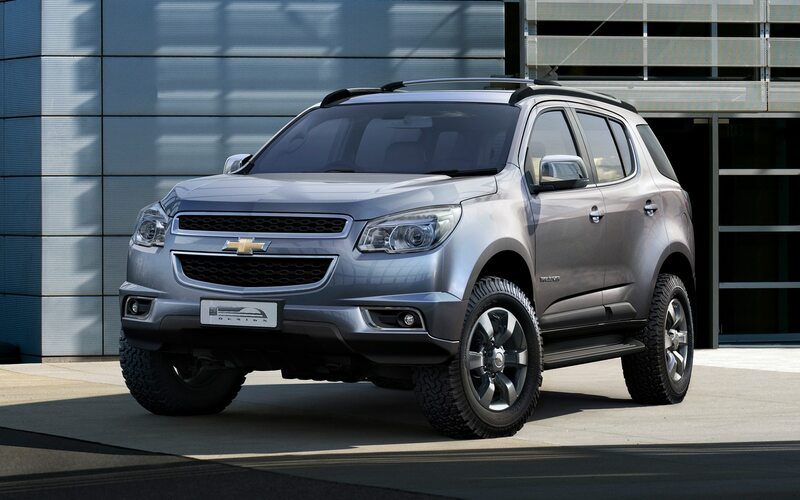 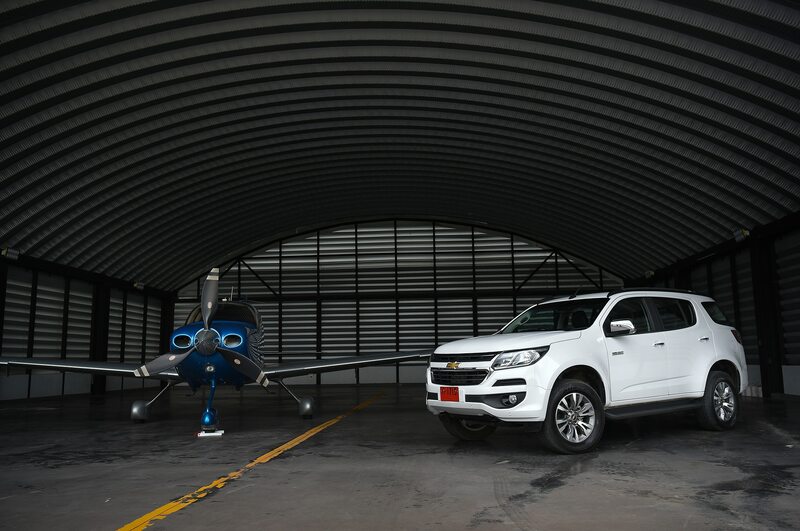 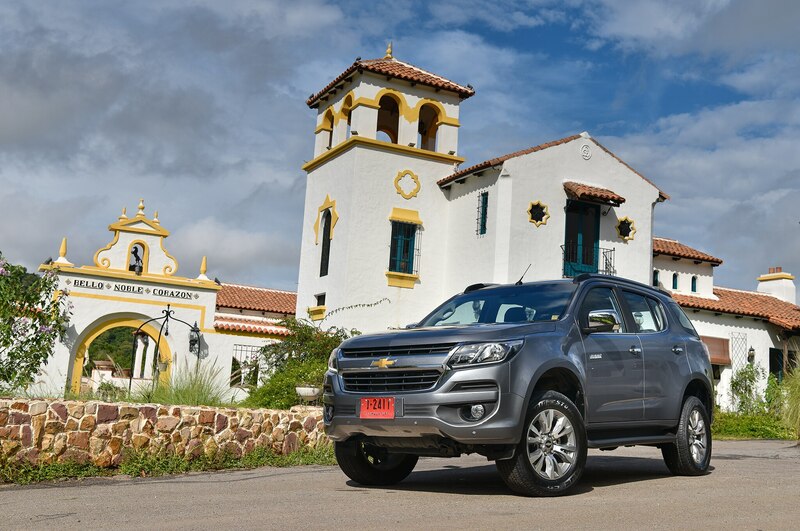 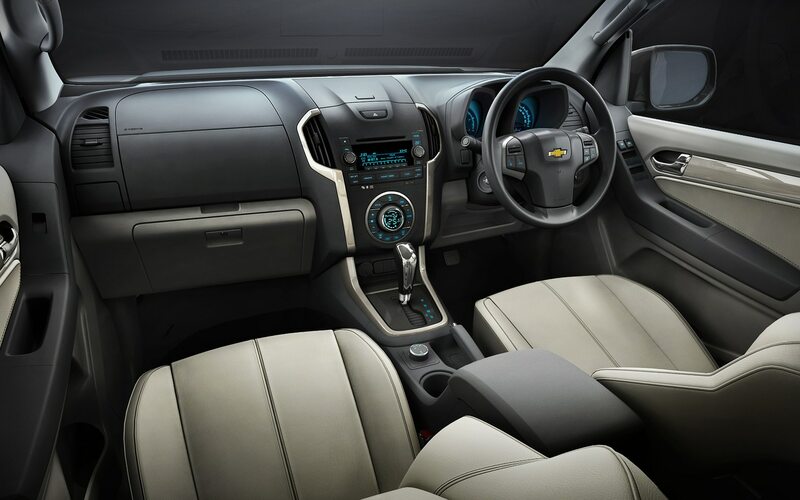 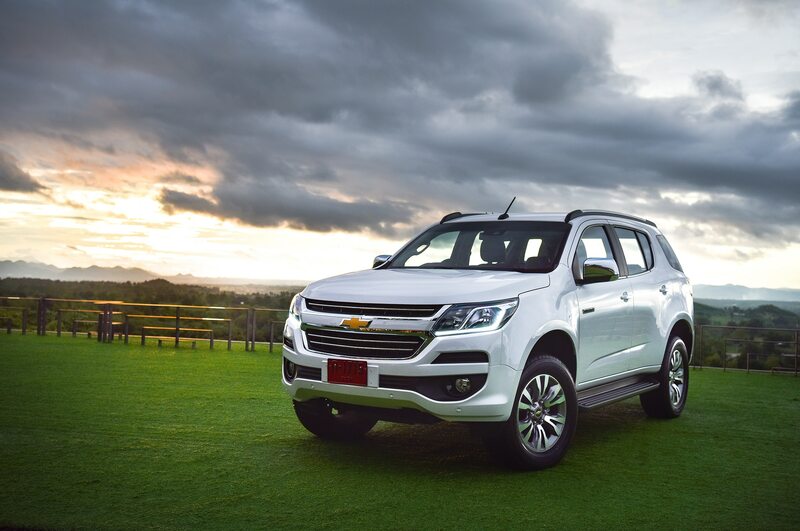 The TrailBlazer name would continue until today in global markets, remaining on a truck platform. 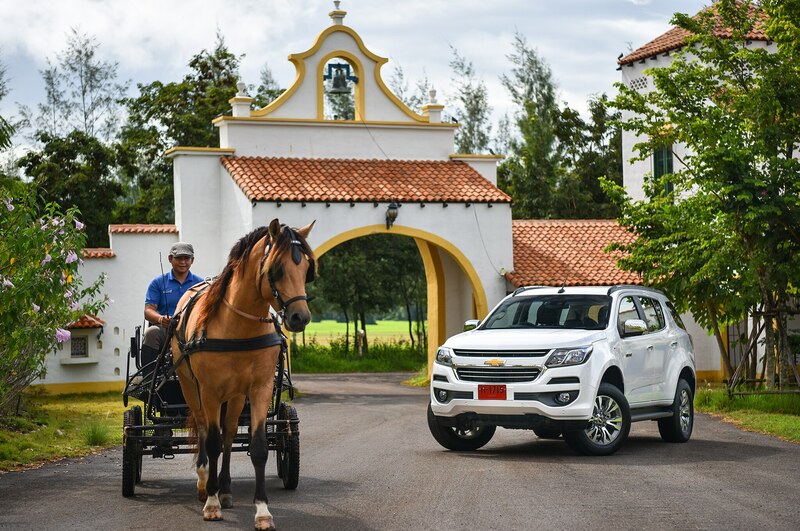 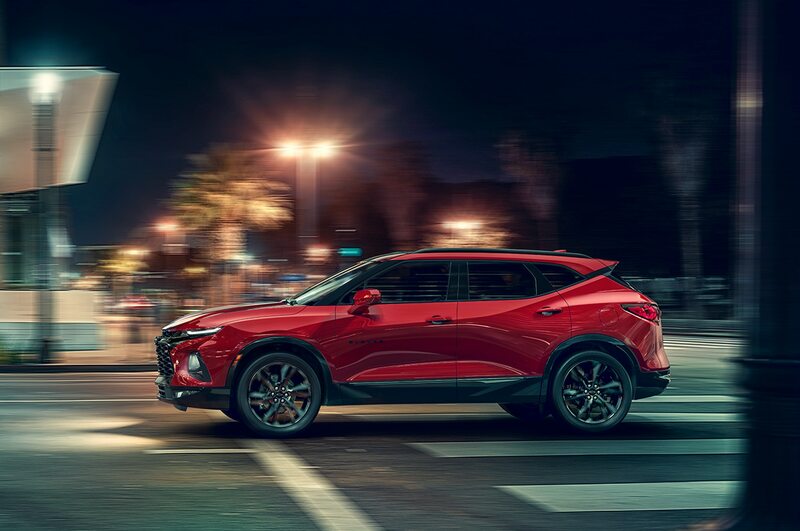 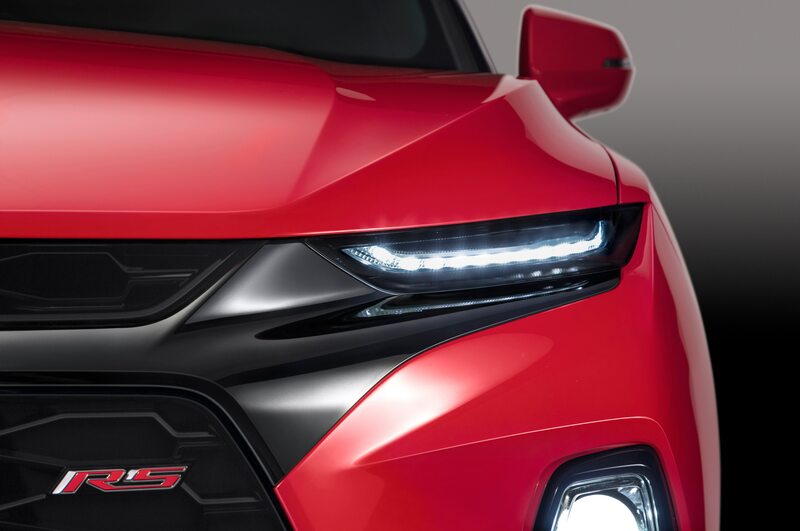 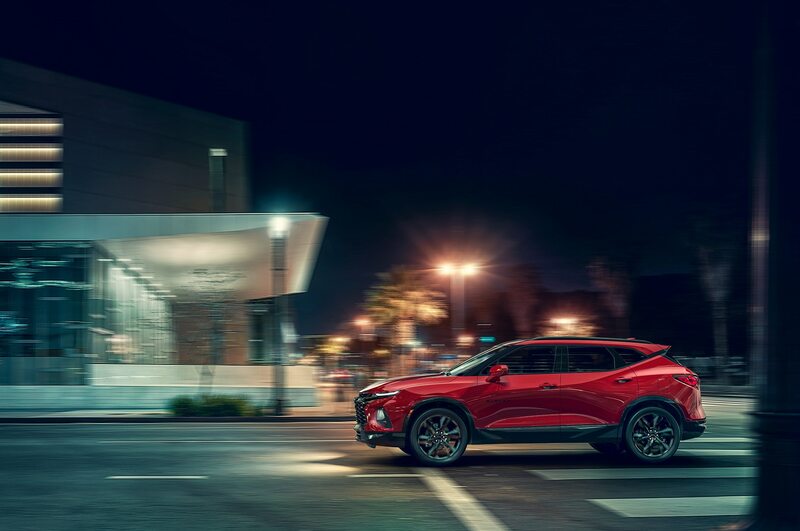 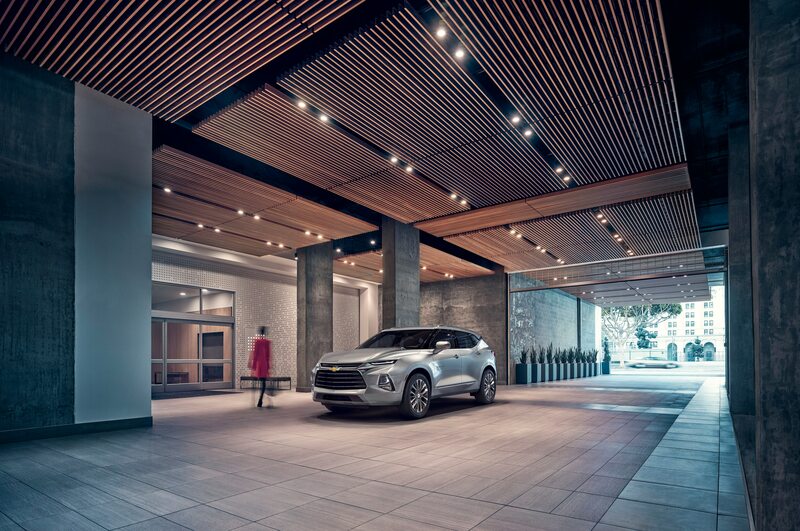 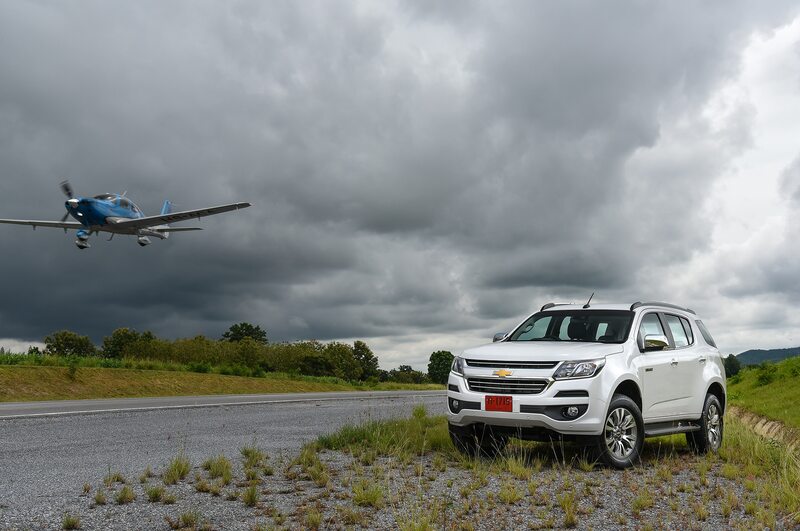 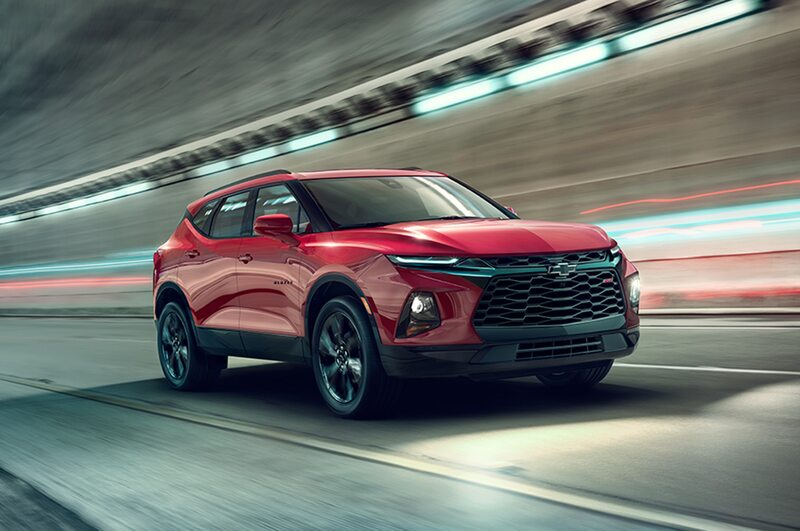 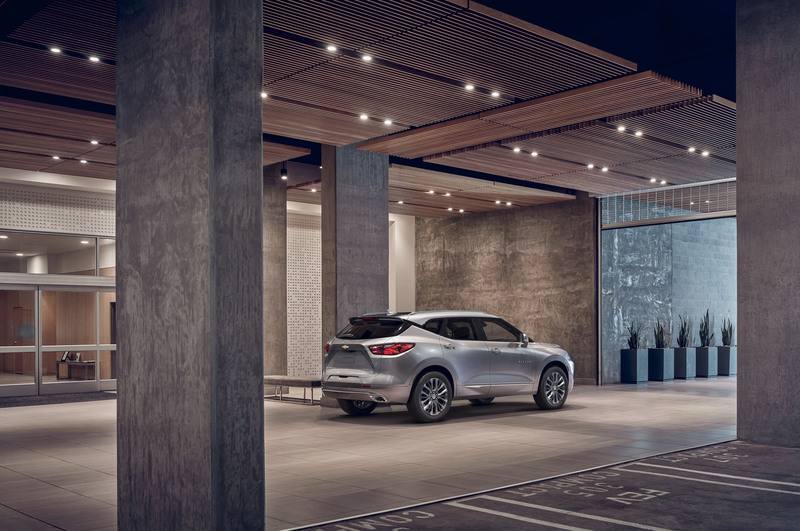 The 2019 Chevrolet Blazer will be the first to ride on a car-based platform and will slot in between the Equinox and Traverse. 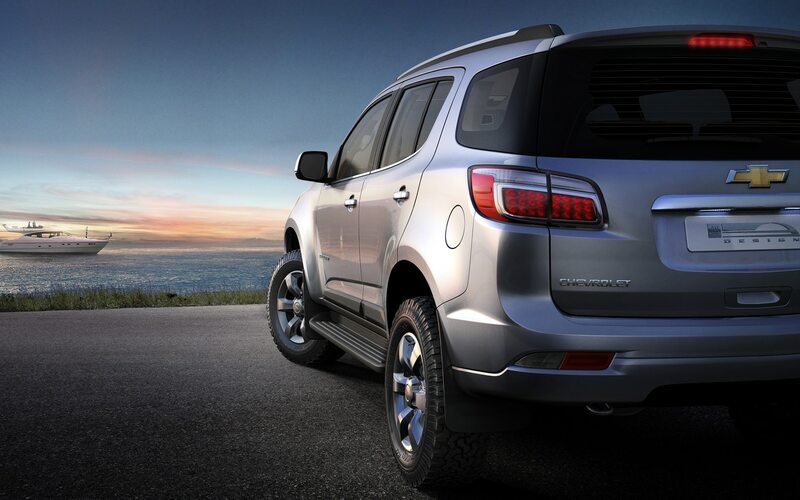 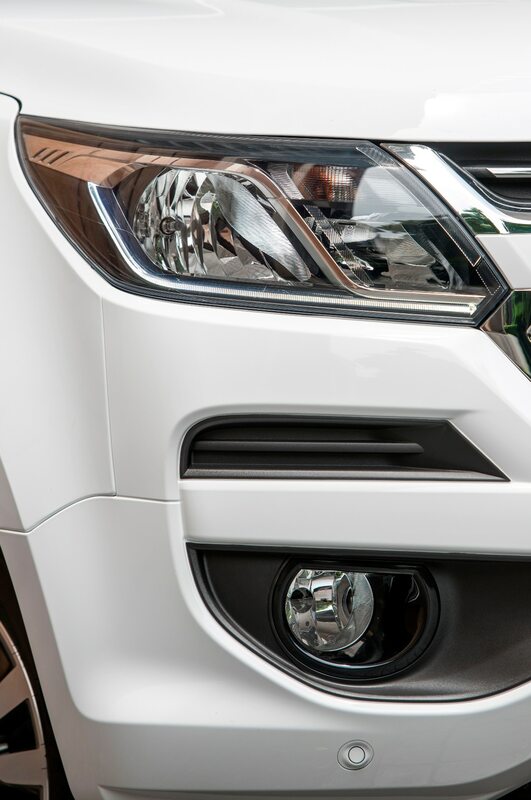 It will compete with the Nissan Murano, Jeep Grand Cherokee, Ford Edge, and Subaru Outback. 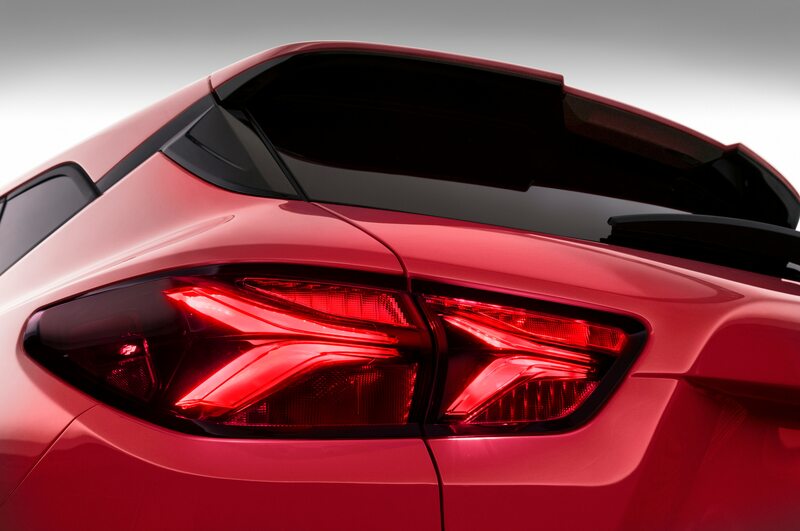 A 2.5-liter I-4 will be the base engine, nut the RS and Premier grades will feature a 305-hp 3.6-liter V-6. 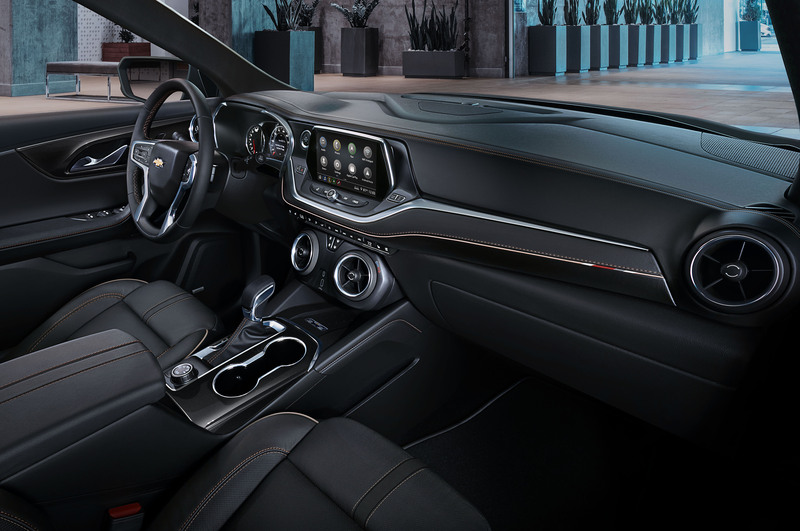 Both engines will come paired to a GM-developed nine-speed automatic transmission. 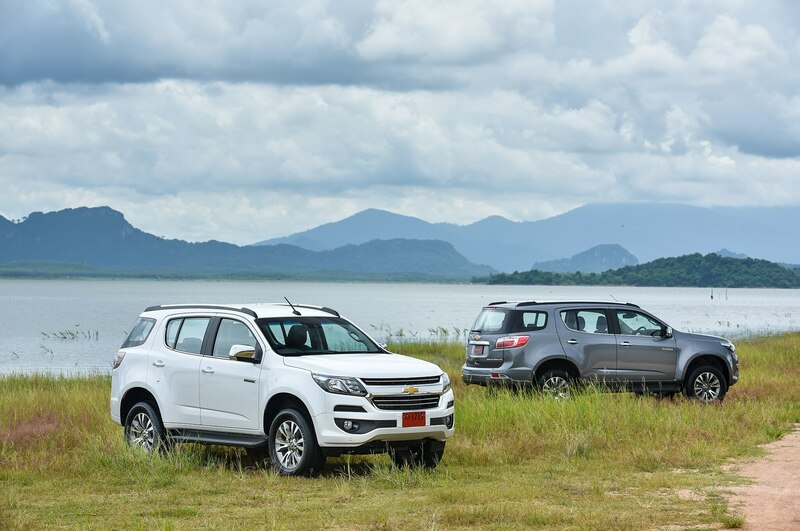 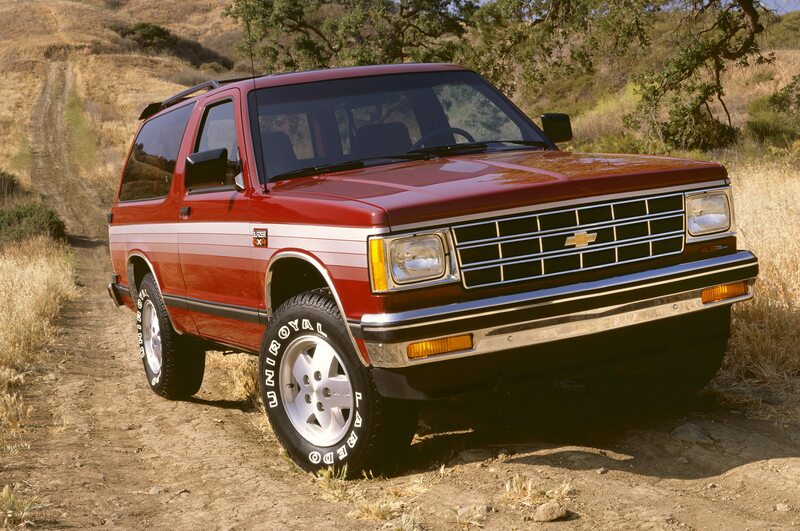 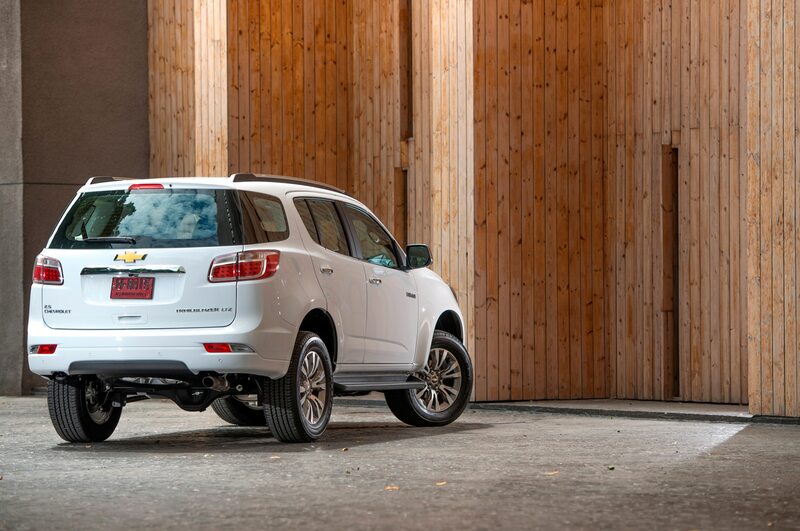 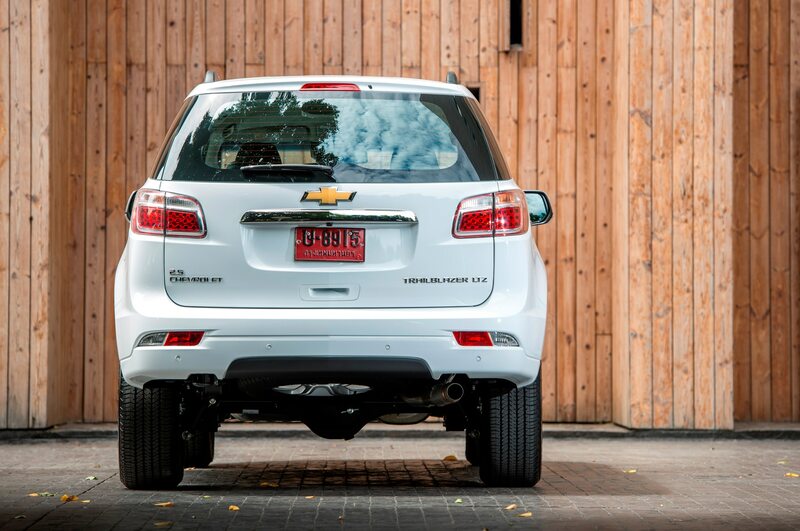 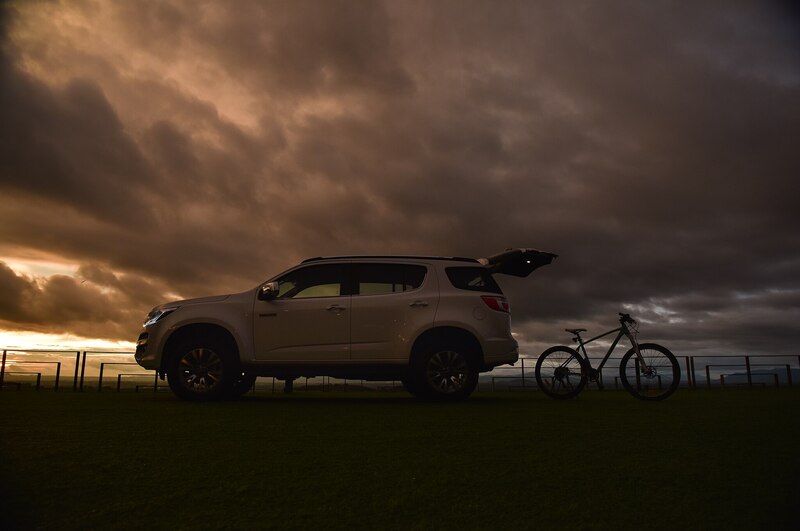 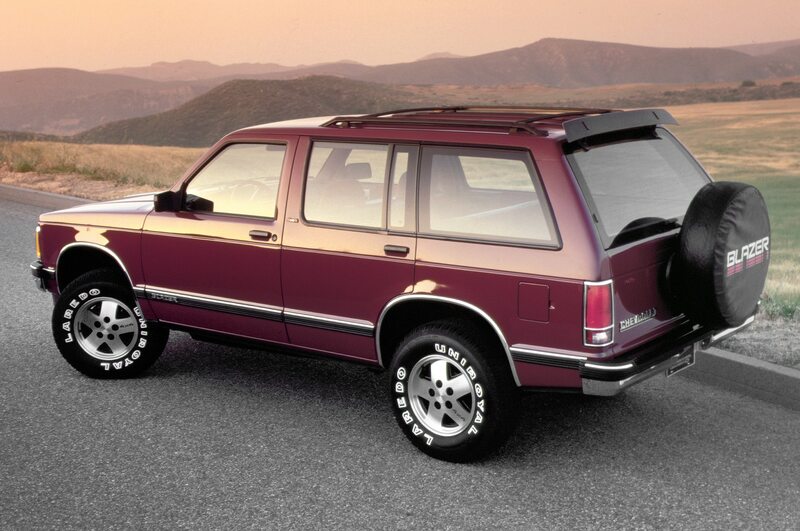 Check out the photo galleries below to see how the Chevrolet Blazer has evolved over the years.